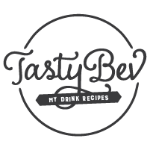 I can't believe that I am posting this recipe right now. Vegetables used to be the bane of my existence. It would need to have my veggies heavily covered in sauce or gravy, wrapped in a meat. It would need to be stuffed in something that I cant see and ultimately can't taste for me to easily say "I ate vegetables". Here I am now giving you a recipe for roasted vegetables that I LOVE. 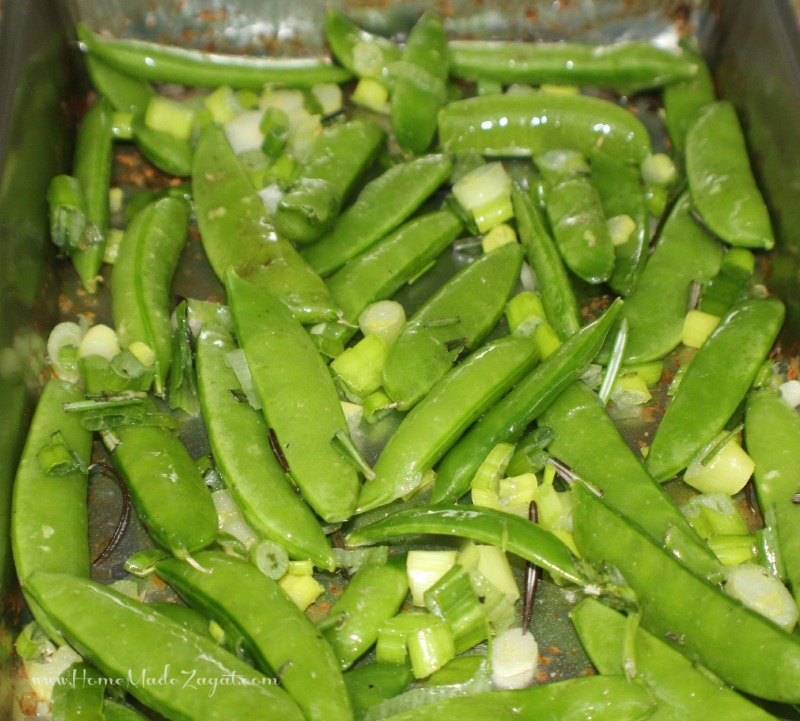 This is an easy prep, easy make dish. It can easily be adjusted to whatever vegetables you prefer. I love carrots, potatoes and corn so they were for sure in there. 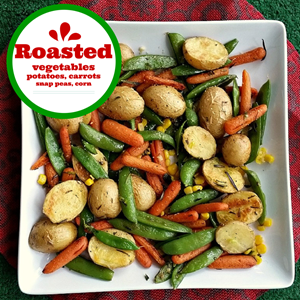 You have to make sure that you know which of your vegetables would take longer to roast then others and roast those together. We do not want all any of them to get burnt while the others are still roasting. Once roasted I mixed them all together and added my fresh corn. I liked my corn to be crunchy so I didn't really want it roasted. 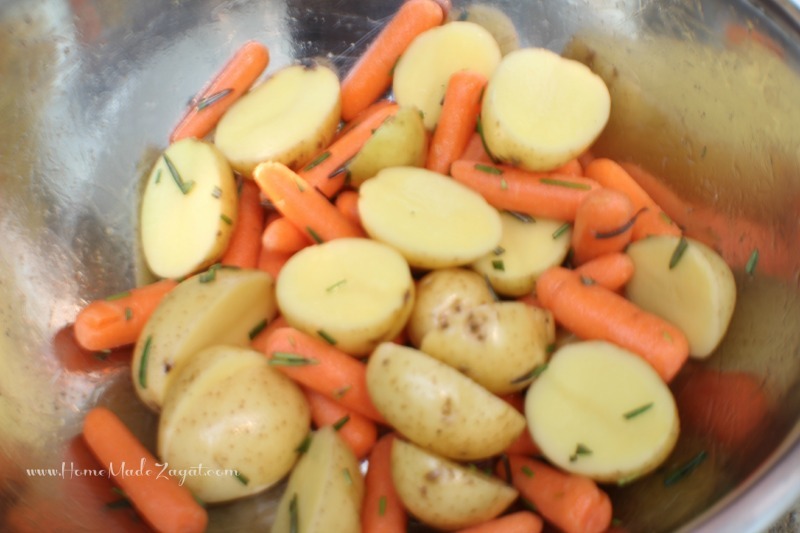 The potatoes are crunchy on the outside and tender on the inside. 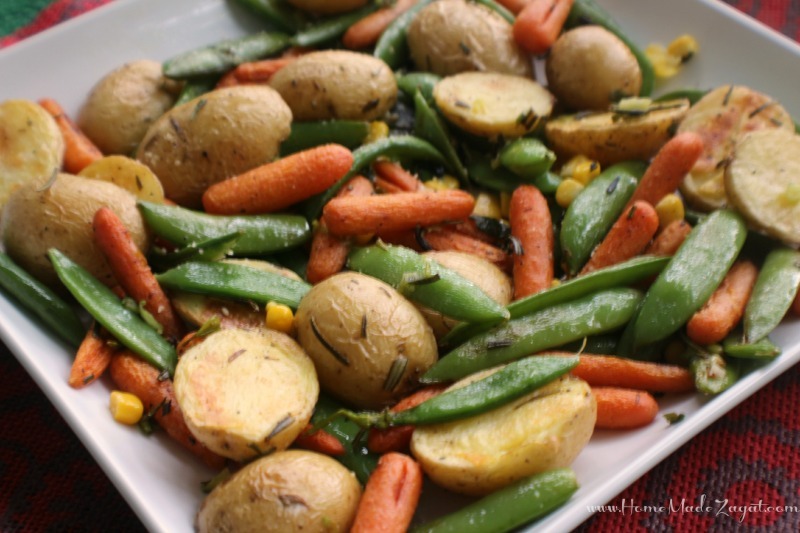 The carrots and the snap peas are sweet and the rosemary gives it this earthy flavor. A explosion of textures and tastes all from some vegetables. You can surely replace whatever you want for combinations that are suitable to you. Once you get your vegetables in!! 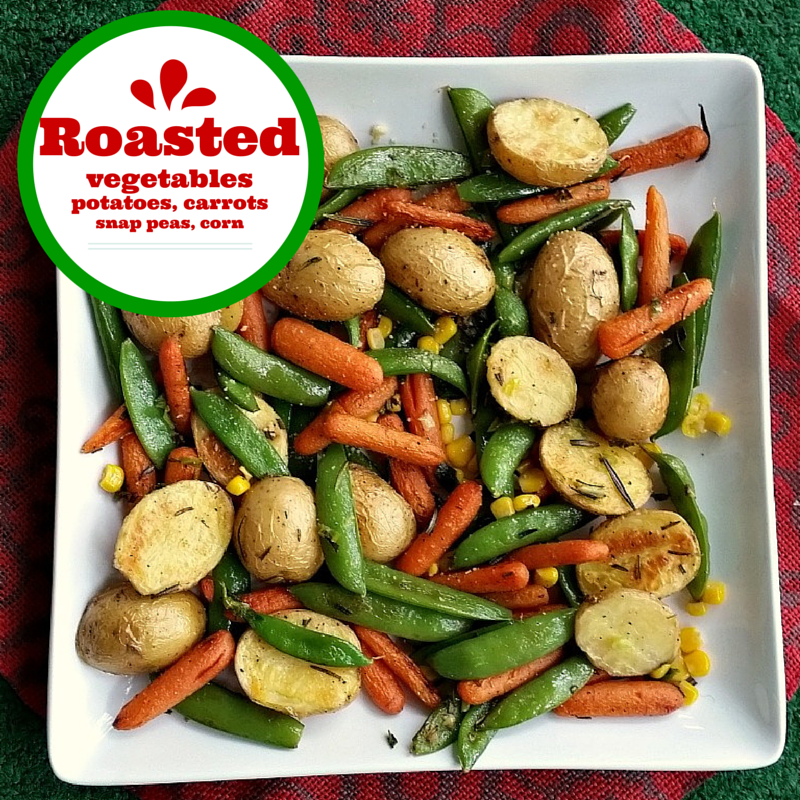 An easy recipe for roasted vegetables with potatoes, corn, sweet snap peas and rosemary but can easily switch out for seasonal vegetables.